Happy March everyone! Dare I say it? Spring is just around the corner, which means blue skies, warmer weather and time to start thinking of fun places to go for a quick weekend getaway. One of my absolute favorite places is Austin – an oasis in Central Texas. I used to live there and loved every second of it. I wouldn’t have left if it hadn’t been for a job transfer. Now, I find myself trying to figure out a way to move back, or at least have a second home in this cool city. 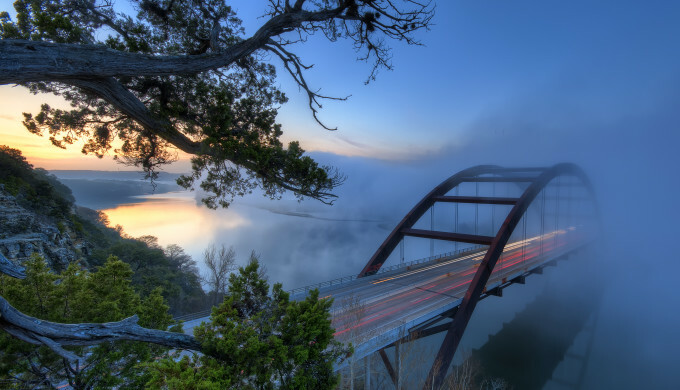 If you’ve never been, it’s this bustling, ever-growing town surrounded by beautiful Texas Hill Country and home to Lake Travis, Lake Austin and Lady Bird Lake (formerly known as Town Lake). Lush greenery, dazzling scenery and all kinds of eateries abound! Food, shopping, festivals, museums, hiking and water activities are endless. It makes a great weekend getaway, or longer if you have the time. I’ve included a little guide on all things Austin, should you decide to visit. I highly recommend you do! The Oasis – This one comes with an amazing view and spectacular sunsets over Lake Travis. Franklin Barbecue – Be prepared to wait in line, but it’s worth the wait!